Does Besser Entertainment Offer The Beach Boys Tribute Band? 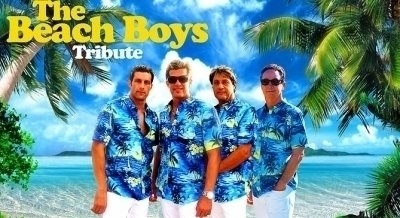 Besser Entertainment is proud to offer the most requested and #1 Beach Boys tribute band in the nation. The Beach Boys Tribute Band will dress the part with great costumes but also perform with all live vocals and instrumentals. Our The Beach Boys Tribute Band is one of our most popular with celebrity impersonators who look and act the part. What Songs Can The Beach Boys Tribute Band? Our Beach Boys Tribute Band Cover Band musician look alikes know all of the hits and will perform them so you feel like you are at an actual Journey concert! Are There Benefits to Hiring a Beach Boys Tribute Band? The Beach Boys Tribute Band through Besser Entertainment are leaders in this specialized niche and will give you a show you will not forget. We researched and found the top tier Beach Boys Tribute Band to ensure quality and customer satisfaction. Our Beach Boys Tribute Band consistently draw crowds because of their familiarity factor and play all of their number one hits. Fans of the real Beach Boys Band will instantly recognize the look and sound of our Beach Boys Tribute Band and happily sing along. Through years of research, Besser Entertainment has developed the skills needed to select the best celebrity impersonators and tribute bands. Our talents have appeared on numerous stages across the country including The Legends Stage in Las Vegas. While there are a large number of celebrity look alikes, tribute bands and other talent online, a good agent will make all the difference in making your event entertainment a success. That is what Besser Entertainment can do for you. Besser Entertainment is an award winning talent agency with an award winning talent pool. When you need professional and talented artists for your special event, give us a call. We will offer the perfect entertainment to help make your event a huge success. We are a full service entertainment booking agency with a roster that features both regional, national and international entertainers. A celebrity look alike or tribute band is guaranteed to make a huge impact with your guests. Whether you want a celebrity look alike for a corporate event, a mix and mingle party, a marketing promotion or even a small intimate occasion, Besser Entertainment can provide you with the perfect match.